It’s been quiet around here on the Open Source Bridge blog, but rest assured we’re hard at work planning the 2011 conference, once again held in Portland, OR. We’ll be posting more details about next year’s conference later, but in the meantime we want you to mark your calendars for June 21-24, 2011. 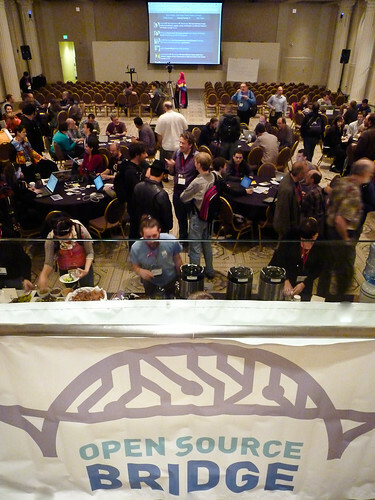 See you at Open Source Bridge next June in Portland! This entry was written by christie, posted on October 7, 2010 at 3:34 pm, filed under Uncategorized. Bookmark the permalink. Follow any comments here with the RSS feed for this post. Both comments and trackbacks are currently closed. Please add an entry for OSBridge 3 to http://lanyrd.com.